In this final page out of our three page tutorial, we will look at using layers to create some background shapes for the animation. Before you can add a background design, we need to learn about layers. You should have noticed the text, Layer 1, in the timeline. The text 'Layer 1' is just not descriptive enough for what is actually contained on the layer: the Flash MX text. As mentioned previously, the background layer has been moved below the text layer. If the background layer was above the text layer, the text will be hidden from view by the background (after you add one). Select the first empty keyframe of the background layer. You will notice that the empty keyframe is selected. Everything you add to your animation will now be on the background layer because you just selected it by clicking the empty keyframe. Select the Oval Tool (the circle) from the Tools panel. You will notice that your properties window reflects the circle properties such as line color, fill color, and more. Now, it is time for you to draw circles for the background of your animation. Click anywhere in your movie and drag. You will notice a circle in the size and shape of your dragging is created. Release the mouse to set the circle in place. Save this file and go to File | Publish Preview | HTML. You will now see your animation with the text 'Flash MX' going over the circles. 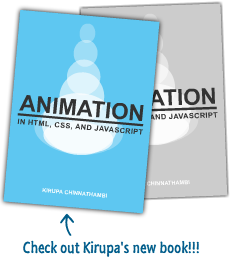 You have just completed creating a basic animation in Flash MX. By completing this tutorial, you were introduced to various topics such as formatting text, layers, animating (tweening), shapes, and more!